African designers paraded their brands on Vlisco’s runway, there was Kofi Ansah, the master of contemporary African designs. With over 2 decades of experience working with reputable designers like Guy Laroche, Kofi returned to his home country, Ghana, and introduced a versatile way to treat African cloth. 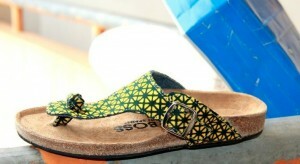 His designs were a complete departure from the traditional styles and even appealed to the African man. With tailored precision, he has dressed the creme de la creme of Ghana’s elite, and revolutionized how Africans viewed how to use their colourful Ankara print. There was a time when African-inspired designs meant safari jackets and animal prints. Now runways are glittering with the work of designers who stitch their models in bold Ankara prints. 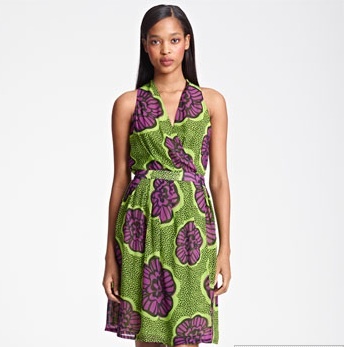 Burberrys leads the pack with men’s shirts and women’s dresses designed in vibrant african print. Even their trademark trench coat has been doused with a splash of Ankara colours. Moschino’s joined the pack this fall with chic print green dress that is so beautifully crafted it looks like it was sewn in Accra. 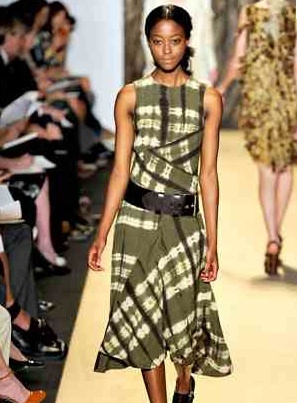 At the summer 2012 Mercedez benz fashion week, Michael Kors showcased his afriluxe collection, but by reverting to the archaic interpretation of African-inspired which consists of safari khaki and animal prints, the collection fell off the mark. 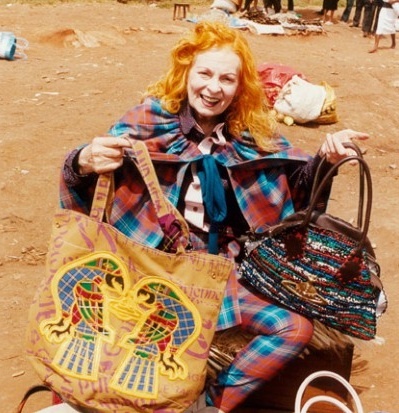 Vivienne Westwood, strikes gold with a collection of handmade bags from Nairobi. Aptly labeled get a life, she partnered with Ethical Fashion Programme to create a line that supports the handiwork of women in uderserved communities in Kenya . The success of this fashion venture has encouraged Stella McCartney, and Fendi to join this UN international trade centre programme. 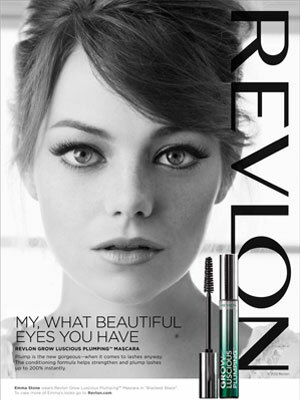 2012 fashion statement is all about color blocking – a fashion trend where you mix n match several monotone colors in one outfit. It can be a solid blue dress paired with green pumps and a red handbag. Sounds outlandish? Get used to it . Color blocking will be with us for many more seasons. However if you want to be trendy without being a follower take color blocking up a notch by doing a mix n match with your favorite african prints. Here are a few vlisco styles to inspire color blocking Ankara style. 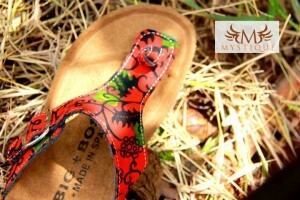 You are not just color blocking you are fashion forward!